Lenses available for most prescriptions including: Myopia/Hyperopia, Astigmatism, and Presbyopia. 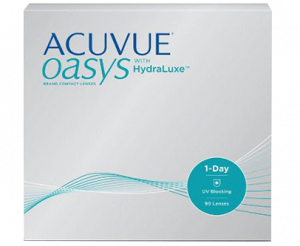 ACUVUE® OASYS® 1-Day with HydraLuxe™ Technology, the best-selling contact lens, is now available as a daily disposable. The latest HydraLuxe™ Technology features a tear-infused design that lubricates and moisturizes. You’ll experience effortless blinking and superior performance all day. Insert your contacts quickly and easily every single time. BLINK STABILIZED® Design: This design works naturally with the eyelids,helping to keep the lens in the correct position. 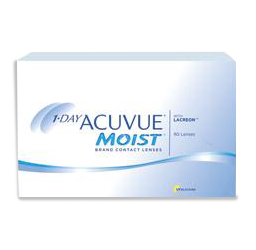 This contact lens provides exceptional performance and helps to make the feeling of tired eyes a thing of the past.